Camborne's history lay in the mining industry and it still has the important Camborne School of Mines. Graduates from the School have served in mines around the world. It has been said if you shouted "Hoy Jan" down any pit in the world a Cornishman would answer you. It has a main line railway station and lies on the main A30 trunk road. 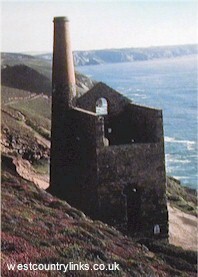 Local sites of interest include a Cornwall Heritage Centre, the School of Mines and the South Crofty Tin Mine.